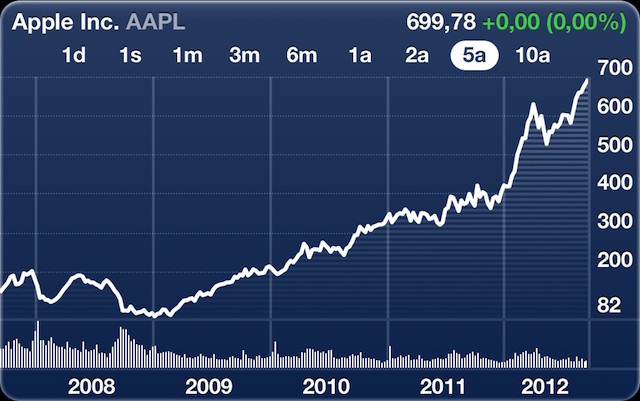 Yesterday, Apple reached the highest price we have ever achieved their titles through presales of the iPhone 5. The U.S. firm closed its shares $ 699,781, and the minutes of its closing did reach $ 701.79, according to an article in Bloomberg. And he did it with a market value of more than $ 650,000 million. 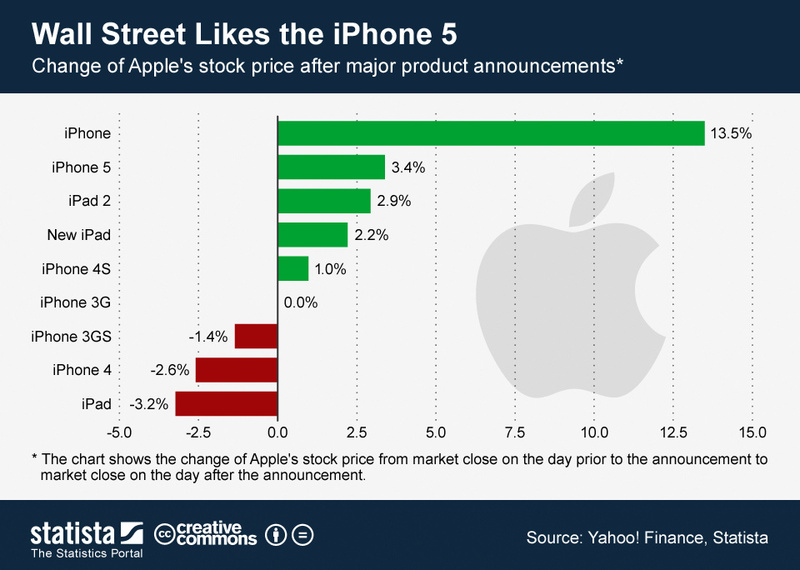 Met after data revealed that the iPhone 5 was achieved 2 million bookings in just 24 hours , double the previous model (iPhone 4S). Although not surprising at all, because the firm is used to making history whenever manufactures and is now selling a new device.